What makes Flow Search unique is that the viewers no longer need to search each VoD catalogue separately. Vennetics K-Box provides a combined view of the most popular VoD and TV services and uniquely curates the video content from the catalogs into one easy to use converged storefront branded Flow Search. 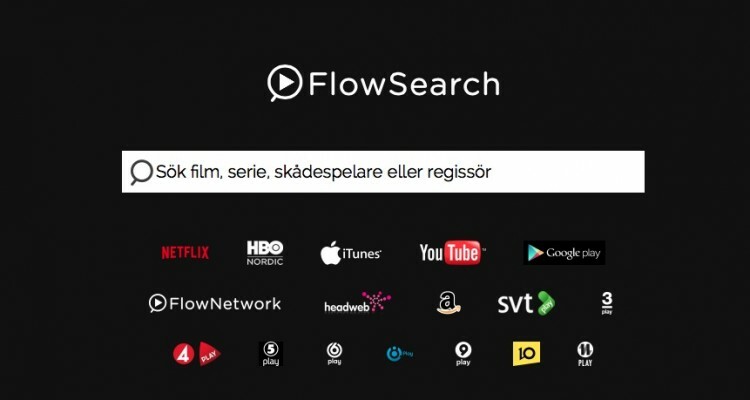 Amongst the VoD services included in Flow Search are the Swedish catalogues of Netflix, HBO Nordic, iTunes, and Google Play. There is also Swedish VoD provider Headweb and TV content from Sweden’s leading TV stations such as SVT, TV3 and TV4. Vennetics is an Internet Age company that brings together a forward looking, business oriented team, with proven experience in both the telecommunications and IT industries. Vennetics is integrated with the leading and most popular OTT Video on Demand (VoD) providers. This enables us to deliver a combined view of the most popular VoD services and uniquely curates the video content across multiple VoD catalogs into one easy to use operator branded App based storefront.